The Crustal Evolution Education Project’s 33 lab activities, developed by the National Association of Geology Teachers, has long been the definitive set of investigations to effectively teach students about plate tectonics. Now WARD’S has collected the teacher’s guides and student worksheets for each of these exceptional lab activities on four CD-ROMs, available individually or as a complete set. Nothing could be easier; simply print the lab activity you want, and duplicate as many as you need. 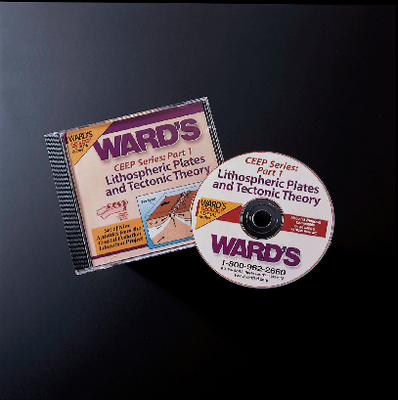 Each CD focuses on one subtopic: plate tectonic theory, earthquakes, climate, and sea floor spreading, and contains both teacher and student versions of the activities, as well as a comprehensive list of materials required for each investigation. System RequirementsMac: 68040 processor or higher, System 7.0 or higher, 4MB RAMWindows: 486 processor or higher, Windows 3.1 or Windows 95, 4MB RAM.